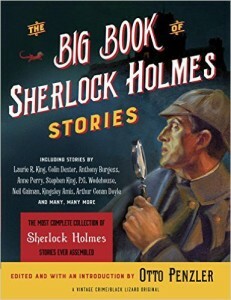 By anyone’s definition Mary Foley Doyle, known as “the Ma’am” by her son Arthur Conan Doyle, was an interesting woman. She saved the Doyle family from ruin when her husband was institutionalized. She gave her children hope for tomorrow with tales of past glories and victories. She also had a mysterious relationship with a man fifteen years her junior. Mary Foley (born in 1837) met her future husband, Charles, in Edinburgh where her mother ran a boarding house. Charles Doyle had recently arrived from England to take a civil service job and need a place to live. In 1855 Mary and Charles married. Over the course of time they had seven children that survived to adulthood. Charles did his best to provide for his large family. He supplemented his income with money he earned from painting and drawing. He was a talented artist who longed to devote himself to his art full-time. Eventually the unfulfilled longings turned into despair. Charles fell into a deep depression and began drinking heavily. He was dismissed from his job. That same year he was sent to a hospital specializing in the treatment of alcoholics. Later he developed epilepsy. At that time the condition was misunderstood and untreatable. As a result Charles Doyle spent the rest of his life confined to a series of hospitals and asylums. Even before her husband was sent away life was hard for Mary Doyle. 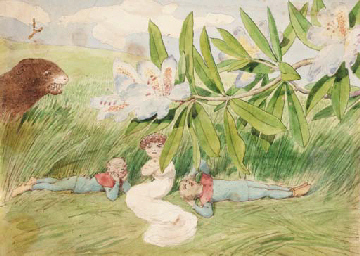 Charles was emotionally absent because of his depression and drinking. After he was sent away the financial worries were considerable. However Mary had a unique coping mechanism. Mary had long been interested in the tradition of chivalry and tales of knights. She shared these stories and values with her children. She also told them that they were of noble blood through her mother’s family. The veracity of her claim is unproven, but the outcome of her actions is not. The stories gave the family the courage. The tales of deeds of bravery sustained the family as they dealt with the uncertainty of their situation. 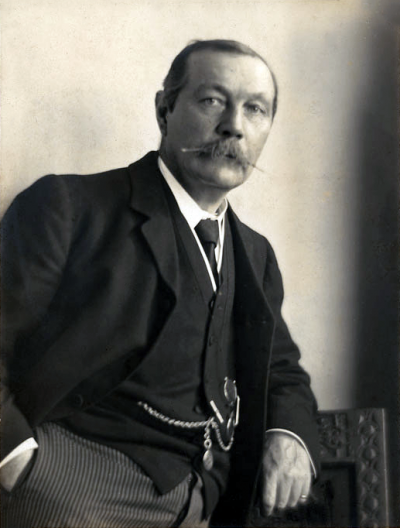 Conan Doyle openly discussed many aspects of his life. However he was oddly silent regarding the subject of Dr. Bryan Waller. To make extra money after her husband was institutionalized, Mary Doyle started taking in boarders. Dr. Bryan Waller was one of those boarders. It would seem that he had a positive effect on the family. His presence helped to financially stabilize the household. While he was only six years older than Arthur, certainly he must have acted as a role model for him. Arthur followed Waller into medicine and even attended the same university as Waller. Waller and Mary Doyle unquestionably had a good relationship. So good that in 1882 she and two of her daughters moved into a cottage on Waller’s estate. She would live there, rent free, for more than thirty years. 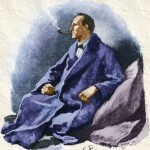 Despite his feeling about his mother’s association with Dr. Waller, Conan Doyle had an excellent relationship with her. He always sought her advice, but felt free to disagree with it. He was inspired by her example in the face of adversity and respected her opinion in all matters. To his pure and knightly soul not Edith alone, but every woman, sat high and aloof, enthroned and exalted, with a thousand mystic excellencies and virtues which raised her far above the rude world of man.